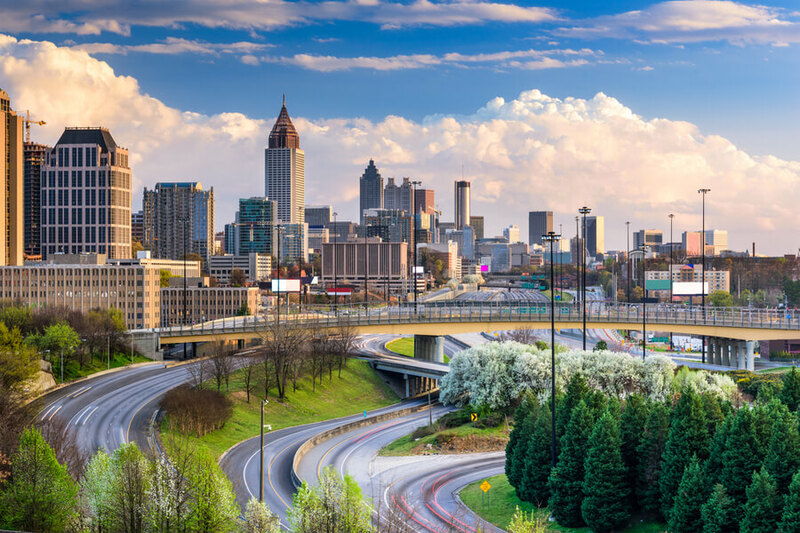 Amen Clinics is a brain and psychiatric health facility located in the populous city of Atlanta which was founded by Dr. Daniel G. Amen in 1989. The center employs the “four circles approach” which emphasizes the treatment of all aspects of a person’s being—social, biological, psychological, and spiritual. The clinic is best known for the optimization of brain health to guarantee the happier, healthier lives of its patients and does this through the application of brain imaging science or brain SPECT imaging. SPECT is a nuclear medicine procedure which is used to study problems of various organs of the body such as the brain, heart, thyroid, and many others. The procedure is an effective method for studying patterns of activity in the brain and helps the clinic design customized treatment plans tailored to suit the patient’s unique brain function and needs. The clinic has utilized this method for more than 29 years and has effectively used it to solve learning disorders such ADHD, memory and cognitive problems, emotional and mental health issues such as depression and anxiety, behavioral problems, and addiction. The center has performed more than 130,000 scans on patients ranging from babies to seniors. The facility boasts of a high success rate—more than 83% of clients treated at the clinic report an improved quality of life and 80% report significant improvements. The clinic has various locations in the Atlanta communities of Roswell, Johns Creek, and Dunwoody and also offers its services across multiple states in the country including California, New York, and Chicago. The facility offers a brain SPECT imaging procedure to allow for the assessment of patterns of activity in the brain. In regards to addiction, the treatment helps patients attain a better understanding of their brain through visuals and determines if there are co-existing issues requiring treatment. The clinic has identified various addiction-prone brain patterns some of which include compulsive, impulsive, and anxious addicts. The SPECT imaging approach helps the medical professionals determine what kind of addict a patient might be and treat them accordingly. The Memory Rescue Program provided at the clinic serves as a comprehensive method of treating memory issues. The clinic evaluates the brain functions of a patient with the use of brain imaging technology and develops a targeted treatment plan for their benefit. A SPECT examination at Amen Clinics costs approximately $3,950 for 2 scans and an initial consultation costs approximately $400 but these prices vary greatly depending on the location and examination type. Other services also vary but a follow-up service payment ranges from $125 to $200 and discount applies on some programs such as Family First Discount Plan. The clinic also offers 10% discount to individuals that were referred by patients who have completed a treatment or examination at the facility. The SPECT procedure is not covered in most medical insurances but some insurance might be accepted. The facility will not file claims for clients as a walk-out statement will be given on completion of a program. Care credits are available to patients who are eligible to obtain it and this incurs no interest as long as payments are made on time. Clients are advised to call the facility to verify and get information about fees and financing. The clinic offers family and couple programs and these programs help to educate couples and loved ones on the issue and also a SPECT imaging procedure is conducted to help determine experiences whether stress or otherwise, affecting the relationship. The facility’s mode of the treatment is focused mostly on the science behind the program and treatment offered to provide a different take and method of treatment as the physical evidence regarding their concerns shows. This approach to treatment not only takes out the uncertainties guesswork surrounding the issue but also allows individuals to take responsibility for the role played in the problems, helping to fix the dysfunction. This procedure is facilitated by highly trained and qualified professionals and is a good option for clients seeking treatment and living in the area. Amelia holds a Bachelor’s degree in Biology (minor in Arts) from Montclair State University and a medical degree from The New Jersey University of Medicine and Dentistry. She also went to Beth Israel Medical Center where she completed her psychiatric training. She worked in outpatient and inpatient facilities before joining the staff team at the facility having over 15 years’ experience in clinical psychiatry. Bradley holds a Bachelor’s degree from UC Davis where he studied Biology and a medical degree from School of Medicine at Loma Linda University. He also completed a psychiatry residency training at the same university in 2002. He is a very experienced and qualified adult and child psychiatrist and is passionate about helping patients by treating issues ranging from dementia to anxiety and mood disorders.